Featured on Daily Mail,'Perfect make-up made just for you'. Selected by Marie Claire online on its feature about 'Bespoke Beauty: Where And How To Get Skincare Tailored To You'. Featured on The Chiswick Herald as one of The Best of British Beauty! 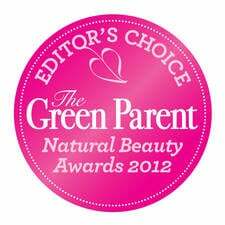 Our Hands & Feet Serum is picked as a favourite by the Editor of The Green Parent Magazine! 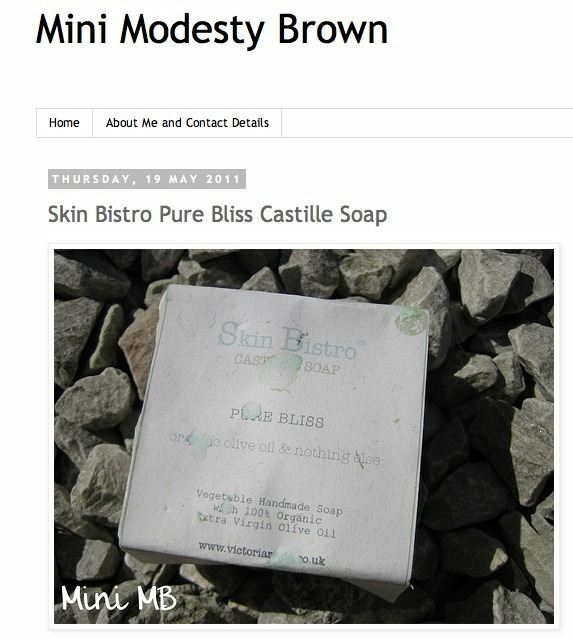 Our Pure Bliss Organic Castile Soap is commended by the Free From Skin Care Awards! Hands & feet serum 'picked and reviewed' on Maboho. Organic perfumed whipped butter featured on the Love Lust & Fairy Dust blog. more chapped, peeling skin, no more redness or soreness, just smooth, nourished comfortable skin. Featured on the Christmas Gift Guide: Beauty Lovers, Twinkle Magazine. for gifts. Our favourite is their Home Spa Bath Soaks, and they are a steal at just £4.25'. that there are no irritants or chemical nasties. 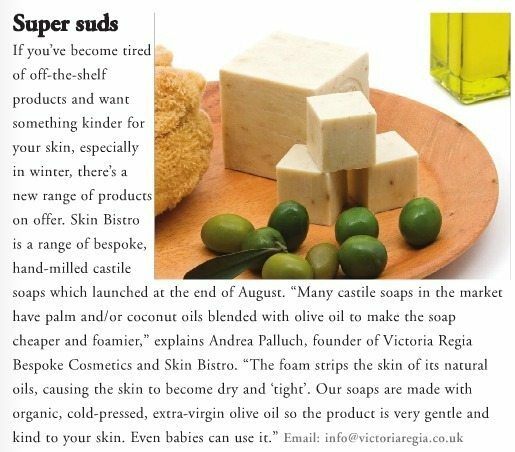 Pure Bliss Organic Castile Soap featured on the Green Buyers Guide, Simply Beauty Magazine. Featured on TNT Magazine - 'Cool crafts >> How making stuff shed its dowdy image' (page 10), and online. is something even major companies are looking at as the public’s awareness picks up. 'Out of the blue': Handmilled castille soaps and bath salts. 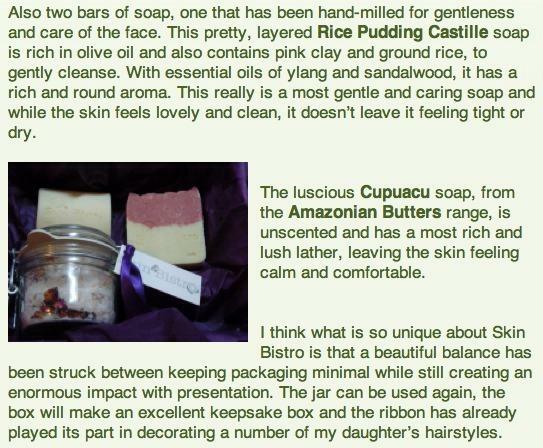 Pure Bliss castile soap wins the TGF Awards 2010 - Body Category. 'Alternative gift ideas': Hit the slopes ski kit gift for Christmas 2010. The Green, local magazine: online and in print. Skin Bistro wins the Future 100 Awards 2010. 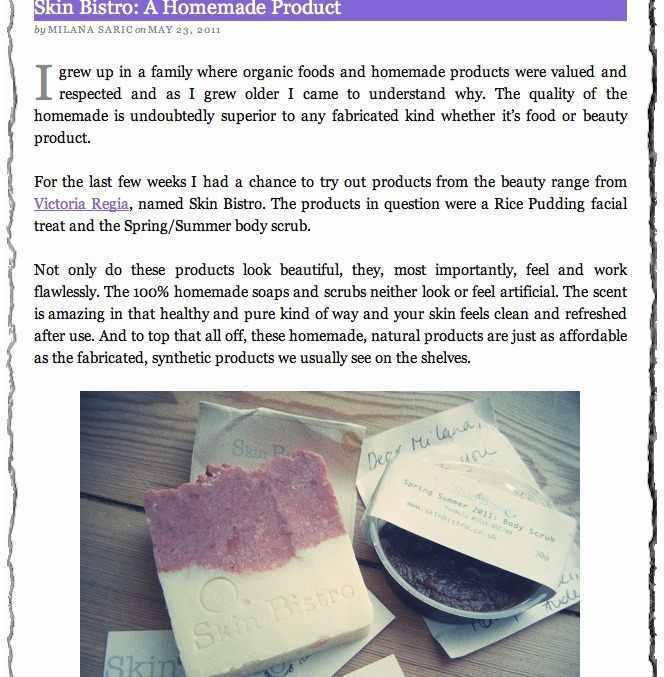 'The Perfect Soap' bespoke formulation. 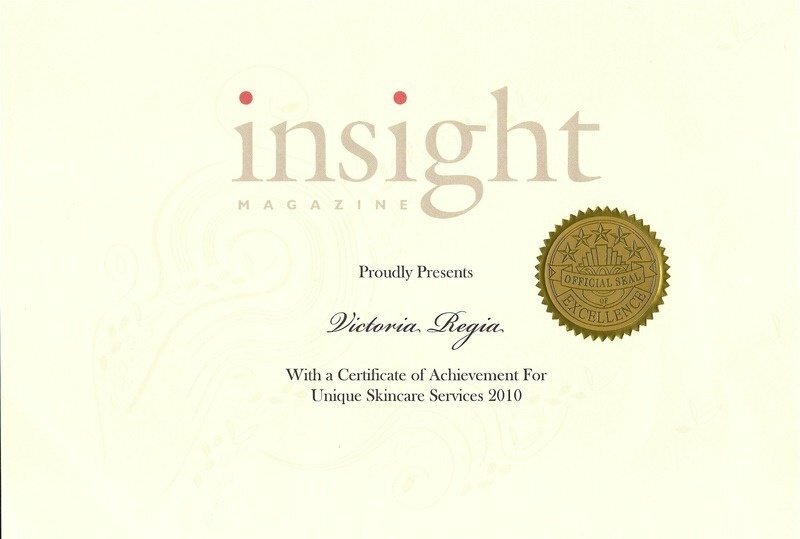 Skin Bistro Bespoke (formely Victoria Regia) wins a certificate of achievement from weekly magazine Insight.